The exercise band bicep curl is a beginner upper body exercise. 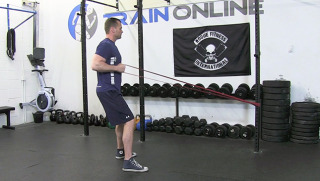 This exercise really isolates the biceps and is suitable for any fitness level. This upper body exercise is a bicep curl that uses the cable machine and the hammer grip to strengthen the bicep muscle as well as the muscles of the forearm. 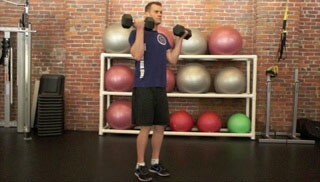 This upper body exercise is a bicep curl using dumbbells. 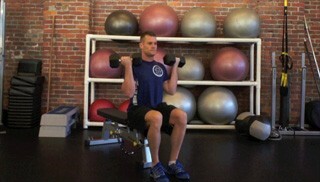 When this arm exercise is done properly it really isolates the bicep muscle. 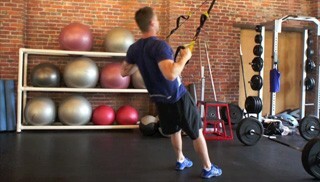 This upper body exercise uses the cable machine to isolate and strengthen the bicep muscle.